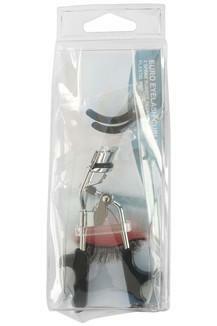 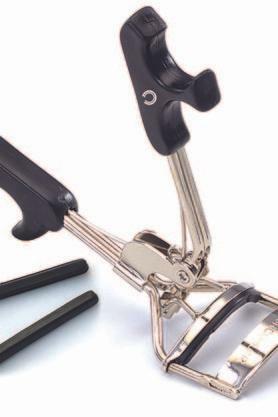 This stainless steel eyelash curler is designed with black plastic handles that are easy to grip and curl lashes. The contoured design hugs your lash line to curl even those tiny lashes in the corner of your eyes. The soft rubber pad makes sure that it is gentle on your lashes thereby reducing the risk of accidentally pulling or breaking away.